Summer isn’t even here but I am literally screeching at the thought of these two releases! If I had started my blog years ago when I first discovered Lauren Weisberger and Emily Giffin it is safe to say it would be an ode to them on a weekly basis. Book after book that these two fabulous authors have released always automatically hit my favorite shelf. Each book is like that perfect glass of Rose’- sparkly, layered and completely satisyfing. Thankfully they each have a new novel coming out this summer. I thought it would be the perfect time to share my love for them and the wonderful titles that have come out over the years. I also have included the synopsis of their upcoming books and will post more on the blog as it’s released. Trust me if you have yet to read either of them run do not walk to your local bookstore, library, download on a Kindle- whatever, just get these gems! Above are the beautiful covers of Lauren Weisberger’s novels over the years. See the summary of her new novel, The Singles Game, coming out July 12, 2016. 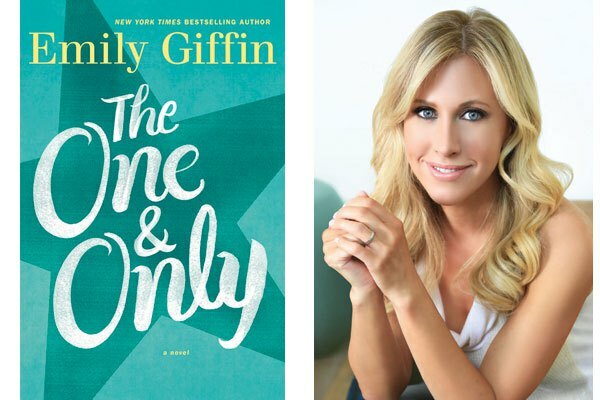 Below are the addicting and stunning novels of Emily Giffin. I have met her twice on tour and she is exactly how you would expect- fabulous on all levels and really all of our best friend, right? Emily’s new novel, First Comes Love comes out June 28, 2016. See below for a cover preview and summary. Visit either website for more details and upcoming tour dates for Lauren and Emily as well links to order any of the above books! It’s been one year since the release of not only one of my favorite 2014 reads but also favorite books and author ever! The One and Only by Emily Giffin has special meaning to me as it was the first book I read after the birth of my daughter. I was so excited to get back into my reading groove and even more thrilled that it would be a book by the fabulous Emily Giffin. I have been a fan of Giffin’s since the first page in her first novel Something Borrowed. She has this way of telling a story that not only grabs you from the first sentence but also makes you feel like you are reading about old friends. She tells stories of truth and creates a plot that is completely relatable on some level. Upon its release date, May 20, 2014, The One and Only had great reviews and was being compared to the amazing television show Friday Night Lights as the backdrop for both was Texas and football. The One and Only centers around Shea Rigsby who lives in Walker, Texas a town that lives and breathes college football. A born fan herself, Shea works at the college athletic center alongside the teams coach, Clive Carr. Clive also happens to be her best friend Lucy’s father. Lucy and Shea couldn’t be more different but when tragedy hits close to home the bond between one another is tested. Shea decides to take a chance at a dream job leaving the comfort and safety that she knows at the athletic department. This move makes waves not only in her career but her relationships as well. She starts to question everything she thought she once knew. Love, family, career and passion are all ingredients into this amazing story. You do not need to be a football fan to fall in love with Shea, Clive and Lucy- this story is so much more than that. Once again Emily Giffin creates characters that once you say goodbye on that last page you immediately start to think what happens next. This is the case with all Giffin’s books. I have gotten the chance to meet Emily on two occasions while in Boston and like her characters she always feels like a friend you have known for years. Her down to earth personality and love for writing always is the heart of her books and The One and Only is no exception. I was going to start my “Blissful Beach Bag Picks” on June 1st but I am making The One and Only the honorary pick today. Pack your beach bag and make sure to grab this book. The paperback is out and its the perfect companion to sun and sand. I am counting down the days until Emily’s next book and I know it will be an instant favorite. In the meantime we can all dream and wonder if The One and Only were to be a movie, as is Something Borrowed, who would play the cast?